I was hooked. First, the name “Rufus Buck” was awesome. Such a name would practically predestine one for outlawry. The idea of men so young embarking on such a mad scheme suggested both near-religious zeal, and childish naïveté--for me, an irresistible combination. That Buck fancied himself a poet was icing on the cake. In addition, Buck’s short life had crossed paths with grand historical figures, including the famous “Hanging Judge,” Isaac Parker, who had been the de facto ruler of Indian Territory for 20 years; notorious half-black, half-Cherokee outlaw Cherokee Bill; and the one-quarter Cherokee bandit Henry Starr, relative of the infamous outlaw Belle Starr. The story seemed impossibly rich. It was the dawn of the 20th century. Elderly Judge Parker’s rein over Indian Territory was coming to an end, just as the Territory itself would soon be a memory. Research showed me that Indian Territory in 1895 was a shockingly multi-racial place. More whites than Indians occupied the Territory that many black freedmen also called home. The Buck gang’s first victim was a black lawman. Judge Parker’s principal marshal was a black man named Bass Reeves. The chief of the Creek Indian Territory was half white. If there was a problem with this story, it’s that there was too much going on. I had famous historical figures, the end of an era for both Judge Parker and the Indians, and a burgeoning United States swallowing up Indian Territories, a tense melting pot with one group about to overwhelm all others. My question was how to portray this. How do you meld these multiple moving parts while entertaining the audience? To get this right, I had to develop a personal sense of the time--not historical details, but an overriding sense of the zeitgeist that would inform everyone who swam within it. I researched Indian Territory history, black freedmen and their history with the Creek Indians, the politics of the Indian Territories with respect to the United States, Judge Parker’s career as the Territory’s overseer, and the outsized roles of Territorial outlaws. Researching this book made me realize that I am a throwback. Much of today’s literary writing is inward and domestic. It explores principally inner lives and how the outside world intrudes upon them. I, however, am fascinated with the grandiose, with men and women whose ambitions threaten to outstrip those of the gods themselves, who seek to impose their inner lives on the world at large. My research allowed me to see Buck and Judge Parker as two such characters. 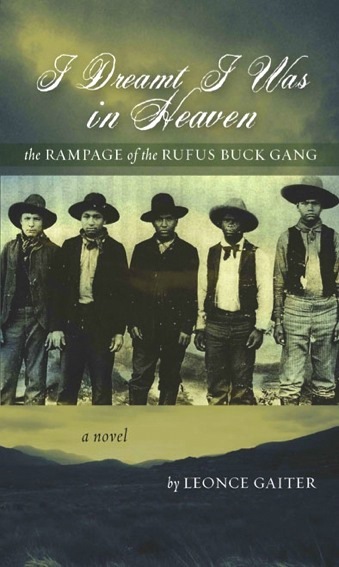 Buck envisions heavenly guidance for his crimes, while Parker is convinced of his rightness with God until his encounter with a seminal text and the reality of Buck’s rampage put the match to all of his former assurances. The multi-racial aspect of this story also drove me. Being a black man who has lived the vast majority of his life in overwhelmingly white surroundings has had a profound impact on me. That Buck and Cherokee Bill were half-black, reared by a black mother and grandmother, respectively, greatly influenced their depiction. Even within Creek society, Buck would have been an outsider. In addition, the Indian Territory of the time housed more whites than Indians, which would have multiplied the dissociating effect. Bill reacted to his state by dismissing unjust societal norms as shams and staking his claim as an outlaw; Rufus reacted to his by donning the mantel of a savior. In this case, deep research fed my personal stake in the narrative as opposed to tempering it. I make no claim to accurately portraying Buck, or Cherokee Bill or Judge Parker. What I have done is examine them and their history and filtered both through my own sensibility. It had to be this way if the book was to read as compellingly as I wanted it to. I am not a historian. 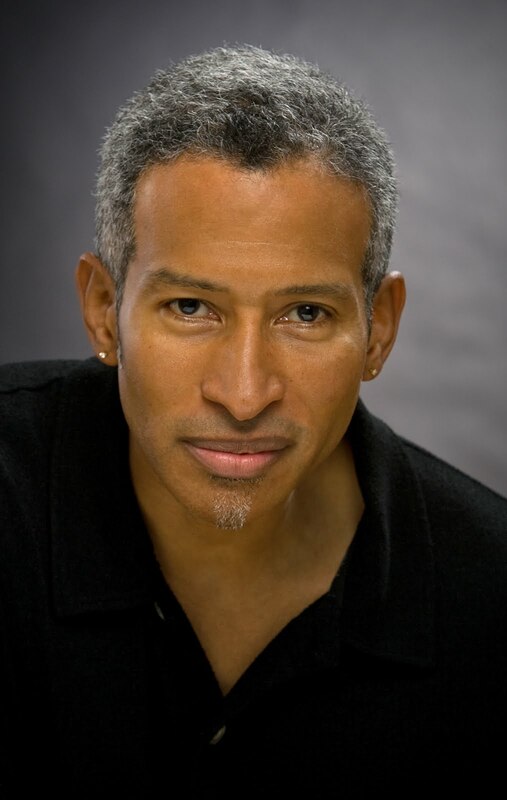 I am a novelist who is using history, and in the end, a novelist has no more guidance than his or her own background and sensibilities provide. For me, this book is as personal a statement as the average memoir, or any more academically birthed literary venture. This piece has made me fear that writers are as much to blame for the decline in the popularity of literary fiction as anything. We have gone small, narrowing our worlds to tiny bubbles as opposed to exploding beyond our world’s confines--and taking our audiences with us. To suggest that works exploiting the touchstones of history or genre are inherently less literary is ignorance at its most base. To suggest that there is a limit to the “acceptable” literary themes, locales, or writing styles is likewise a pernicious ignorance. 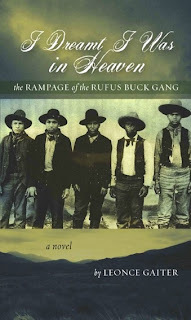 I Dreamt I Was in Heaven is a personal novel that uses America’s iconic history as its canvas. My goal in writing it was to entertain an intelligent audience, explore a bit beyond this world’s confines, and with any luck, transport you with me in that adventure. I will certainly be looking for this book to read. From this piece I like his honesty, his reasons for writing the book, and his writing style. His portrait is just heart-stopping; what a presence he has. Thanks for the tip, Jeff. I am captivated already by the brief description of the characters. I once met a Half Black and Half Cherokee from Oklahoma that "we' refer to as the Nation a saxophonist musician by profession but found him to be one of the most fascinating persons I have ever had opportunity to meet.I will definitely get this book. I have already read this book. I read it in two days. I could not put the book down. I enjoyed it so that I completed my book report on it in grad school. I reside in Oklahoma; and the saddest thing is that there is not a copy in the local library. I know that it might not be accurate, however the names are real. Great job Mr. G!